Christmas is coming up before we know it! (insert screams here-Yes, that is me screaming since there is so much to do to get ready!) That means it is almost time to get that tree decorated. We usually add a few ornaments each year so for one of our new ones this year I decided to crochet one. To help you get into the crochet ornament making mood, I decided to find a few free crochet Christmas ornaments. All patterns should be free. 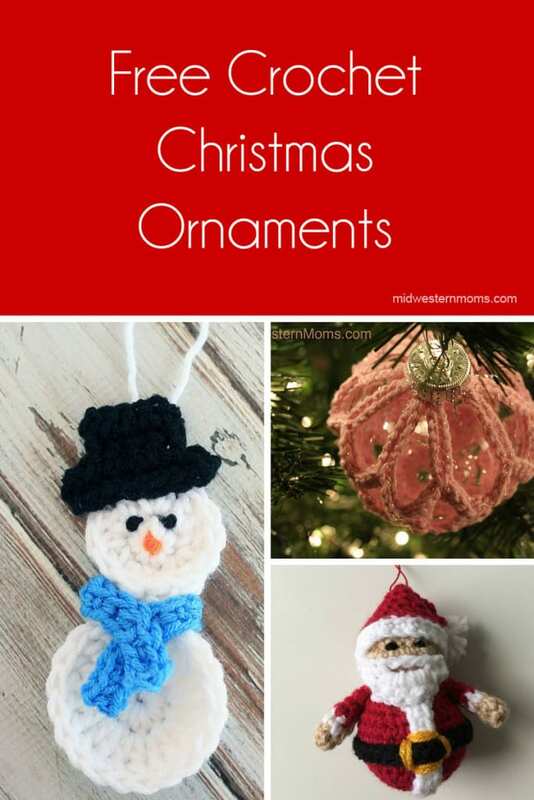 How to Crochet a Snowman Christmas Ornament – Easy to make and he is pretty cute. Crochet Christmas Tree Ornament – Pretty Christmas ornament cover. Crocheted Santa Ornament – This little Santa is pretty cute! Crochet Christmas Lights – These are just too cute. Every tree needs some lights. I may have to make some of these. Rudolph the Red Nosed Reindeer – I may just have to try and make one of these guys. He is adorable! Crochet Star Ornament – Love the simple look of this. I think I could make a whole tree full of these. Simple Origami Christmas Baubles – These are very interesting to look at. I am intrigued by these so I may have to attempt to make some of these. Grandma Trees – Cute granny square Christmas trees. Would make for cute gifts too. Simple Snowflakes – We can’t forget the snow! A whole tree of snowflakes would be pretty, with some clear lights. How do you decorate your tree? Which is your one of these free crochet Christmas ornaments are you going to try and make first?